I’ve had a craving for cheddar biscuits since watching an advertisement for Red Lobster, featuring their signature biscuits. On the Keto diet, it’s normal to get these urges for off-limit foods like biscuits. Fortunately, I recently discovered a keto-friendly biscuit mix called Carbquick. This versatile mix can be used for making biscuits and other baked goods like pizza dough and bread, similar to higher carb products like Bisquick. Prominently featured on the back of the box is their recipe for Carbquick biscuits. So, I decided to adapt their recipe by adding some extra ingredients: cooked bacon, sharp cheddar cheese, and diced jalapeños! 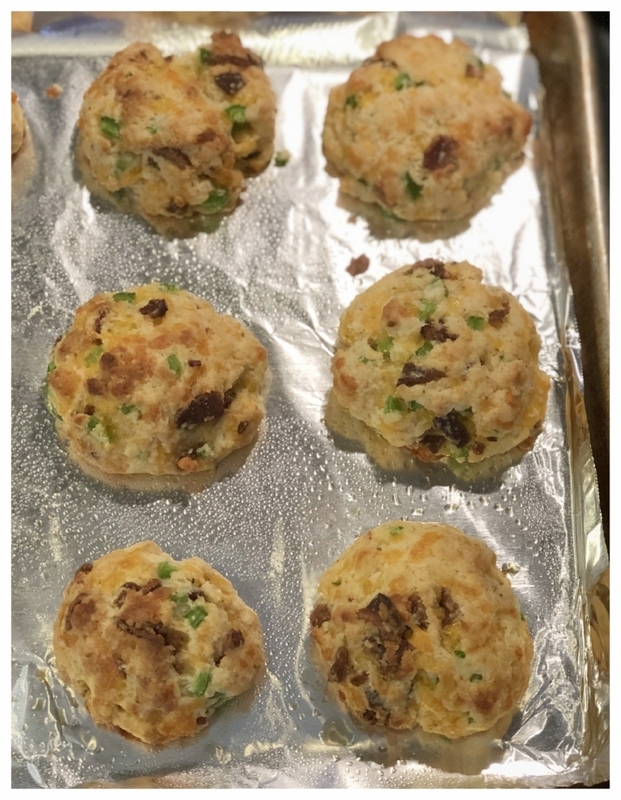 The end result was a heavenly low carb biscuit, full of flavor and with only 1.4 net carbs per serving! This recipe is quick to assemble and bake. If you have some leftover bacon (is that even a thing!?) then the recipe will go faster. The end result is a dense biscuit full of flavor with a little bit of heat coming from the jalapeños. These biscuits also had a nice crunch to them and they taste fantastic with some melted butter. The biscuits will keep for several days in a sealed container, so you can save them for snacks or for making keto sandwiches. 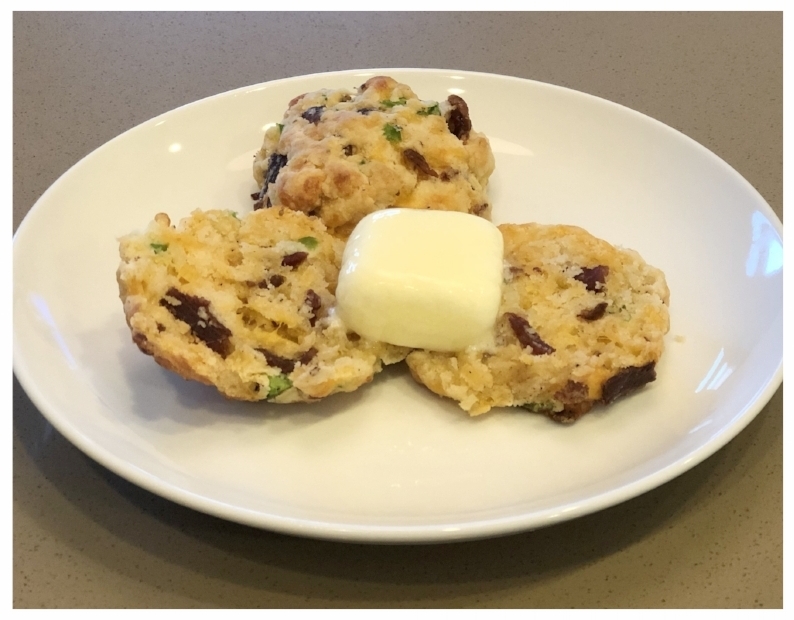 I’m eager to try more recipes with this Carbquick mixture since these biscuits turned out great. 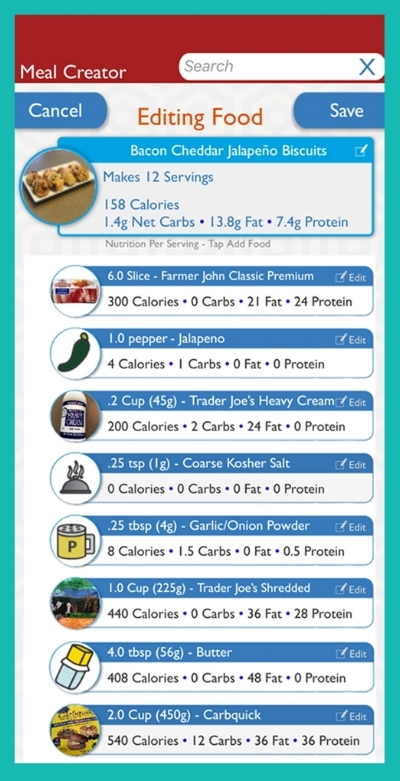 We hope that you’ll enjoy creating these tasty low carb creations! In a large mixing bowl, stir the Carbquick, garlic powder, and salt until combined. 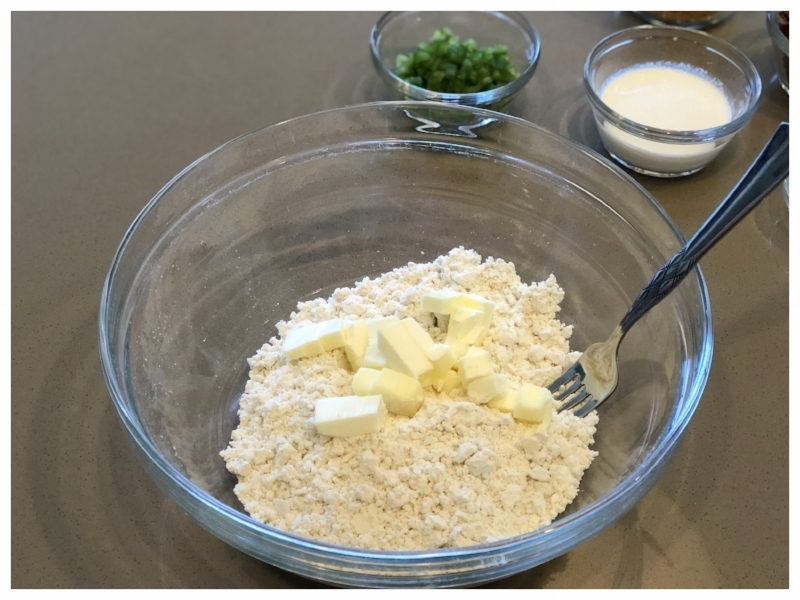 Using a fork or a mixing utensil, work the cubed butter into the dry mix until the mixture is crumbly. Add the shredded cheese, diced jalapeno, and bacon crumbles into the mix. Toss gently to incorporate the ingredients. Add the heavy cream and water to the dry mixture. Work the dough gently with a fork and then use your hands to form 12 balls. If mixture is too dry, add more water, a tablespoon at a time. Be sure to not overwork the dough. Place the biscuits about 1.5 inch apart on a greased cookie sheet (or lined with parchment paper). You can slightly flatten the biscuits for more traditional biscuits. Bake the biscuits in a 450 degree oven until golden brown on top, between 9 and 14 minutes. Let biscuits cool slightly on the cookie sheet and then they are ready to eat! Venn Interactive Inc. makes a small commission from purchases made with affiliate links on this website. If you enjoy these recipes, we hope you’ll consider using the links so that we can keep sharing recipes.